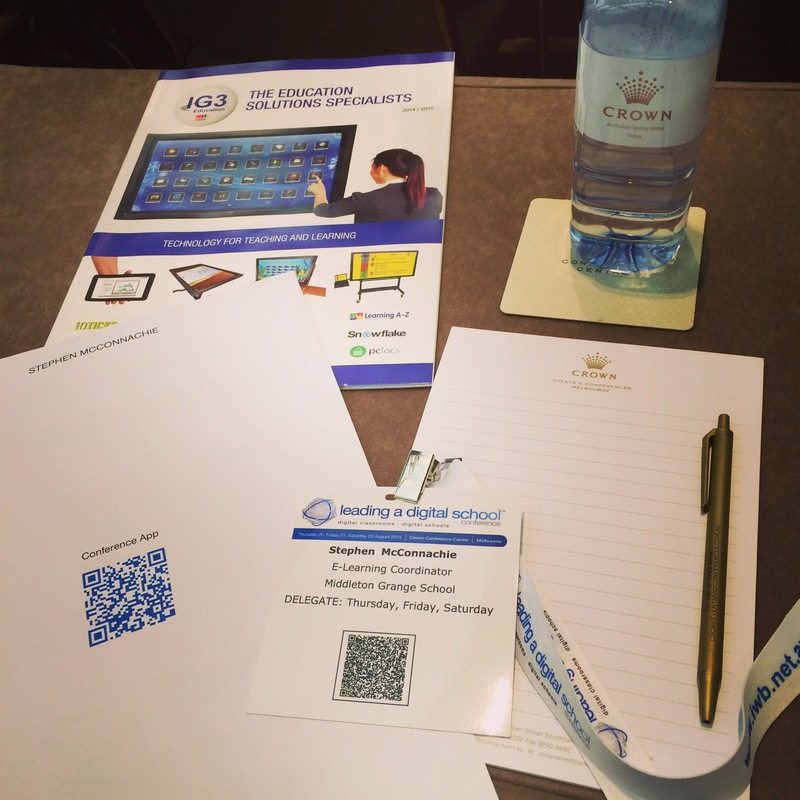 This week I have the privilege of attending the Leading A Digital School conference in Melbourne, Australia. It’s run by iwbNet and so far – after the first day of three – it’s pretty good. My main reasons for going are for the leadership, change management and policy development stuff. Today has already been brilliant for those areas of focus. A case study of a school’s journey into BYOD (Bring Your Own Device – although all these Aussies keep calling it BYOT); a plenary presentation from the former Director of Instructional Technology from a successful U.S. school district; networking over lunch with new friends sharing experiences and ideas; sharing policies for BYOD implementation & digital citizenship… My brain’s a little overloaded! I know the future is BYOD, and the future is beautiful. But for those of us still in the transition phase, how do we support teachers and students when BYOD is not yet fully implemented? Every school is already a BYOD school, and that includes us. Eventually, we will have the digital citizenship and BYOD policies in place and teachers trained. In the meantime, the challenge is to facilitate effective learning, taking advantage of the BYOD devices that are already in (some of) our students’ pockets, safely and responsibly. I would truly welcome your ideas and resources! Please share in the comments below so others in our position can benefit too. It’s been a busy couple of months. We ran the CMA E-Learning Day at the end of May, with around 80 teachers attending. A week later I was flown up to Napier to deliver workshops and a keynote for Taradale High School’s e-learning professional development day. I thoroughly enjoyed it, and made some new friends while I was there. Then (after writing reports!) I organised and facilitated the ICT Day for the biennial NZACS Conference at the beginning of July; and this week I’m presenting a couple of workshops (and attending some excellent sessions!) at the biennial NZAMT Conference. I ran two workshops this week, so I deliberately split them into two very distinct sessions. My first was on “Theory & Research”, then the next day I unpacked it with “Practical E-Learning Tips for Maths”. Both sessions had a decent crowd, so we were able to share ideas and tips with each other. You can check out my presentations from this week on the NZAMT Conference resources website once they’re up – I’ll add a link here when they’re available. If you have any related suggestions that I should try, let me know! What are you trying this term in your e-learning programmes? Share below! There was a report released in the UK in 2009 by the Department for Children, Schools and Families about the effective use of ICT in UK Primary schools. It’s worth a read, but one aspect jumped out at me in particular. In almost all cases the pupils were clearly motivated and stimulated by the ICT approach they were demonstrating. That’s great – though notice that they said “almost all”. 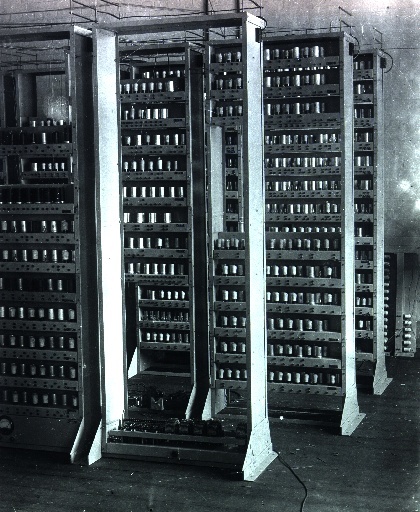 Sometimes the use of ICT was merely a distraction, but in almost all cases they were motivated and stimulated. In some cases the use of ICT achieved high levels of engagement but little beyond that; the learning objectives were achieved but the use of ICT, in itself, did not lead to deeper learning. The authors went on to list some examples of activities that merely engaged the students, and activities that enhanced their learning. For details check out my summary in the NZ Maths & Statistics ICT Community. NZQA announced further details about the e-MCAT trial last week in an email to its Principals & Nominees network (email on May 7 from Richard Thornton, Deputy Chief Executive, Assessment Division; NZQA granted permission for me to discuss its contents here). The trial will be used to evaluate the method of assessment delivery and assessment marking, and whether both meet best assessment practice. Feedback from the students and teachers as to the format of the assessment will also inform any future work and development around digital assessment. If you have any questions or would like any further detail please view the innovation pages (http://www.nzqa.govt.nz/about-us/our-role/what-we-do/where-are-we-going/), recently added to the NZQA website, that outline what we’ve been doing and what we’ve been thinking about in terms of the future and digital assessment. The specific information about the e-MCAT trial can be found by clicking on the “What we’ve been doing” post-it note at the bottom of the page in the website that the email mentions. hasn’t the Ministry of Education just announced consultation for a proposal to change the MCAT to an Internal assessment? Yes, on Monday it was announced that the Ministry want to remove the MCAT and change AS91027 (Algebra) into an internal assessment. The very same MCAT that NZQA want to change into a digital external assessment. I spoke to Sue Chalmers, Manager of Secondary Examinations at NZQA, about this apparent contradiction. When I first heard about the consultation it appeared that the left hand didn’t know what the right hand was doing, but Sue clarified a couple of things for me. She explained that regardless of what happens to the MCAT in the future, with regard to trialling a digital external assessment this year the MCAT is still the most convenient one to trial, because it’s not in the external assessment system with the rest of the November exams. Whatever NZQA learn about running digital assessments from this trial will still be relevant and useful for other externals whether the MCAT remains an external or not. At the same time, whatever NZQA learn about assessing the MCAT specifically through running the trial will still be relevant and useful for the AS91027 standard whether it remains an external or not. The MCAT may or may not be administered by NZQA in future (depending on the outcome of the Ministry of Education’s consultation) but it could still be set up as a digital assessment which schools could administer as an internal assessment whenever their students were ready (as with other internals currently). It would just be a different organisation that designs this digital internal assessment, for example NZAMT or some other interested group. I’m encouraged that the word is starting to get out about the coming changes, and I’m glad that my initial fears that NZQA & MoE weren’t aware of each others’ plans for the MCAT were unfounded. I’m still a little concerned though that the whole notion of assessing digitally hasn’t really penetrated the collective consciousness of the secondary education sector. We need to be teaching with ICT and e-learning tools. It’s no longer optional. 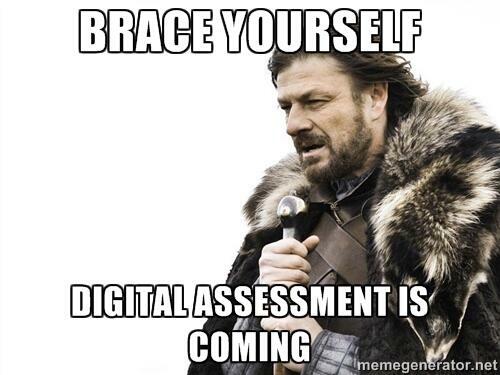 Digital assessment is coming very soon, and our students need to be familiar with the tools. I’ll keep you posted with updates as I learn more. In the meantime, be sure to check out the NZ Maths & Statistics ICT Community to share your ideas and use others’ resources. Have your say in the Ministry of Education’s consultation about whether AS91027 should remain an externally assessed standard (the MCAT) or become an internal. Visit the TKI website for details and to download the consultation forms. Consultation ends on Friday 20 June 2014. A lot more investigative work needs to be undertaken before our actual plans and timelines are finalised but we are reasonably confident that we can reach a position within 8 years where most students will be sitting examinations using a digital device. Moving to on demand assessment is then only one step away and making that next step will depend upon the sector and how all the steps up to that point have been received. The Mathematics CAT will be in its third iteration in 2013 and is now established within the senior secondary school landscape. Our thinking is the Maths CAT provides a very good platform to trial and pilot some of the digital assessment elements. Whilst the move to online assessment is exciting, the choice of standard for the pilot struck me as odd, given that currently the MCAT is the most locked-down of all Maths standards with regard to technology. At present, not a single calculator is allowed in the assessment; and yet this will be the first standard across the entire curriculum to make the move to online external assessment. Students will finally be allowed to bring in their calculators for the Algebra assessment. What I found more concerning, however, was that this announcement went relatively unnoticed at the coalface. Most classroom teachers that I spoke to over the next twelve months had not heard this news. In order to adequately prepare students for digital assessment in the MCAT, we need to be integrating e-learning activities into our Mathematics teaching programmes and assessment preparation. Across the entire country, for every student. Teachers need to hear this. Do spread the word! Using the same base technology, NZQA is partnering with Language Perfect to pilot a computer based assessment for maths – e-MCAT. This pilot will happen in 8-10 schools from September 2014. Hear from Craig Smith, one of the founders of Education Perfect. In April this year, Dr Poutasi discussed the changes in her 2014 SPANZ presentation. She didn’t specifically mention the MCAT, but spoke more to the big-picture changes that NZQA are making and planning. Students will be able to sit their examinations on computer or on paper with the same questions being offered in both media. We are confident that we can begin to roll this out in some levels or some subjects for the 2016 examination round. It is important to note that dual assessment will be an interim measure as schools grapple with their own challenges regarding the provision and use of technology in their classrooms. The objective is to reach a point where paper examinations become a thing of the past and all students who undertake external standards will complete the assessment using technology. I think this is fantastic. On-demand, online assessment will be a massive leap closer to bringing formal national assessment into line with what is known about effective assessment for learning, not to mention the administrative benefit to those marking and moderating the scripts. But this is scary. It’s scary because teachers need to be integrating e-learning into their programmes. Now. In every school. Which means they need training, they need to be shown tools to try, they need to be given time to play and become familiar with the tools themselves, they need to talk to each other and share ideas. Enter the Maths & Statistics ICT Community. Please spread the word about this group where Maths teachers can share ideas, download resources, discuss issues, and network with other Maths teachers who are on this journey. The journey is no longer optional. *NCEA is the National Certificate of Educational Achievement, NZ’s formal secondary school qualification for Years 11-13 (15 to 18 year old students). This post is less about e-learning than about maths programme design in a wider sense, but it was inspired by reading a study on e-learning resources. I came across this statement when reading a PhD thesis from Arla Westenskow at Utah State University (you can find the original doc here). The thesis was about using physical and virtual manipulatives (applets etc) to help struggling maths students to learn equivalent fractions. Five cognitive difficulties many students have in developing equivalent fraction understanding have been identified in the literature: (a) conceptualizing fractions as a quantity, (b) partitioning into equal subparts, (c) identifying the unit or whole, (d) building sets of equivalent fractions, and (e) representation model distractions. How could this influence our teaching of fractions? I haven’t been teaching long and am just starting to move beyond the basic knowledge-delivery with teaching this topic. If we were to focus on each of these five cognitive difficulties and nail them, what would that look like? What resources can you share or suggest that could be useful for this? For those of you who are already doing this or partially doing this, can you share your insight or experience? Keen to pick your brains. The thesis goes on to explore and discuss using manipulatives for remediating these five difficulties but the focus is more on the effectiveness of the types of manipulatives (which is why I’m reading it for my e-learning assignment), rather than focusing on the best way to remediate the difficulties from a more holistic programme-design perspective. Thoughts? You’re Not As Good As You Think You Should Be. A great reminder! My goal is to keep this in mind this term… while still striving, of course 😛 Check out the full blog post for more gold. In my role as e-Learning Coordinator for my school, I sent this email out to staff to explain the Heartbleed bug. Feel free to use it yourself with your own staff, and/or give me feedback if you spot any errors. 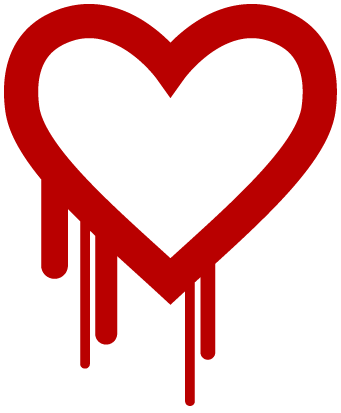 You may or may not have heard of the “Heartbleed bug”. The short version is, there is a bug in the security protocol for some websites on the internet. The trouble is, the “some” is in fact “many” — including the really common ones. This is not a virus; it’s more like a broken lock on the front door. And last week the world realised that the front door hadn’t been locking properly for the last two years. For your peace of mind, it is very unlikely that your internet banking has been compromised, as they use a different type of lock for their front doors. Don’t re-use the same password across multiple important accounts. Once you’ve typed this a few times it will be easier to remember. It is worth doing this properly. Even if you make only two or three really good passwords and then re-use those across multiple sites, that’s still better than one password which is just a word or modified word, used on all your accounts for everything! Using a word or phrase and swapping a few letters or numbers out is not sufficient. This is a 3D environment for building shapes with cubic blocks. Useful for teaching the relationship between length, area and volume, or for helping students to build spacial awareness and develop understanding of volume and prisms. Also just fun. This resource is great for interactive whiteboard or wireless tablet, but won’t run on iOS so iPads etc won’t have much luck. It runs on Java so make sure you have the current version. How else could you use this resource? Add your suggestions! How do you use QR codes in your Maths teaching? Here’s one suggestion on a homework sheet, keen to hear your ideas! Except where noted, the content by Stephen McConnachie on this site is licensed under a Creative Commons Attribution-ShareAlike 4.0 International License.